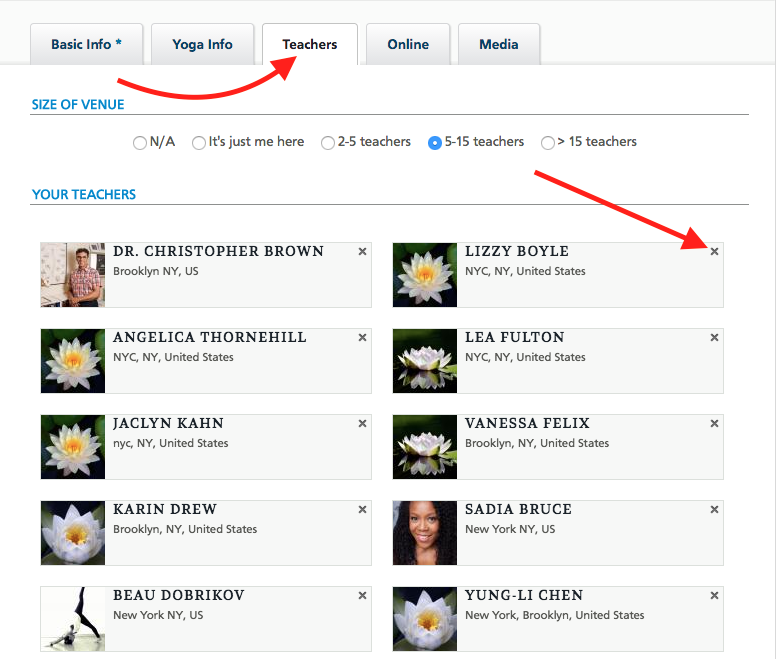 Listing the teachers who teach at your venue is an essential part of creating your profile on YogaTrail and will make it easier for you to add your classes. 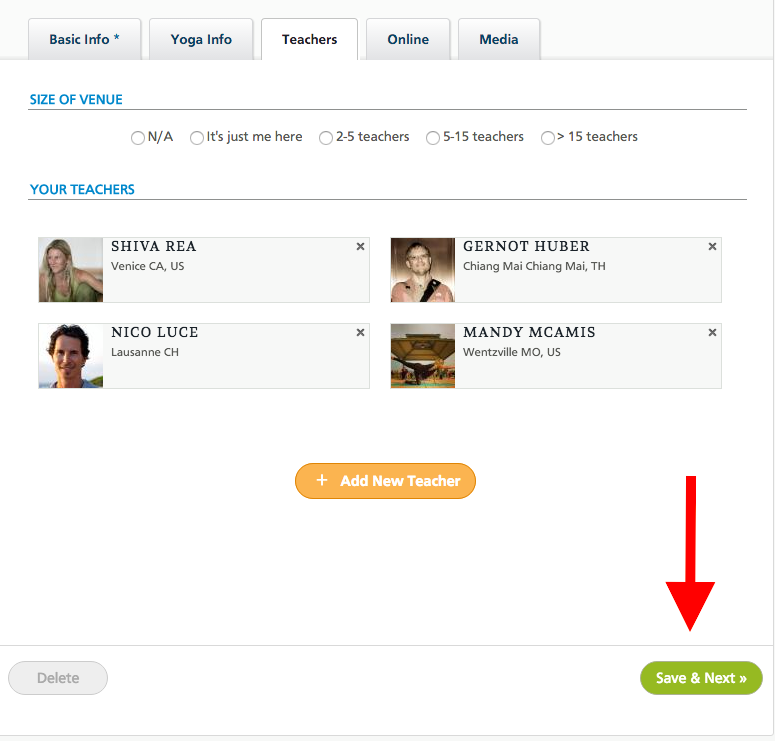 Your venue will also enjoy more visibility, and appear in more places on YogaTrail... but most importantly: yogis want to know who's teaching at your venue! 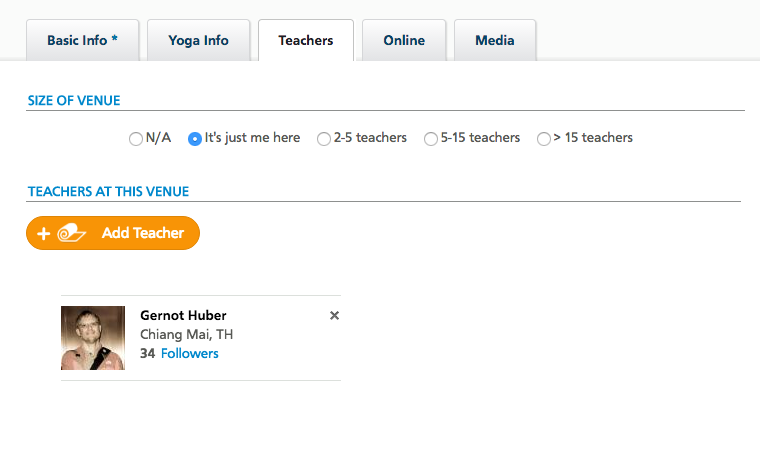 All the teachers you add will be shown on the right sidebar of your public profile. 1. 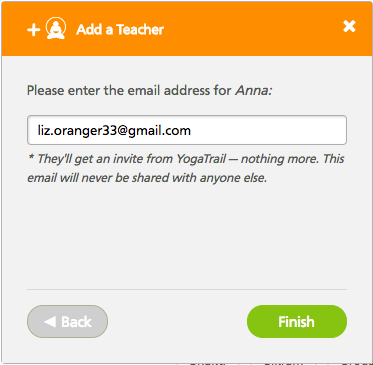 Is your Teacher already listed on YogaTrail? When you select a teacher from the list, he/she will be added to your list of teachers. 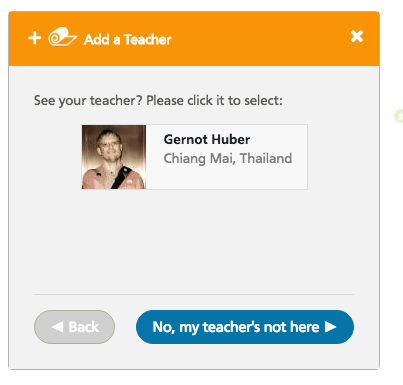 If you've added a teacher by mistake, simply click the little 'x' on the teacher's box to remove it. You will then be able to choose a different one. When you add a new teacher please make sure you add their complete name (first and last). 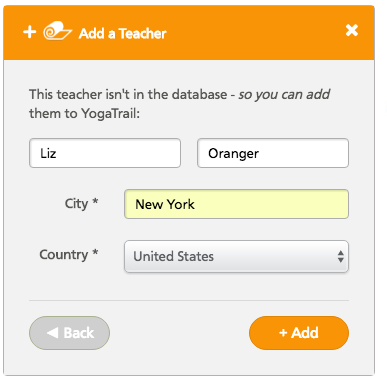 There are many tens of thousands of teachers on YogaTrail, so only their full name will allow people to find them on the site. Please note that incomplete entries are periodically deleted. You can keep your studio profile updated and delete teachers, who no longer teach at your place, from your studio listing. 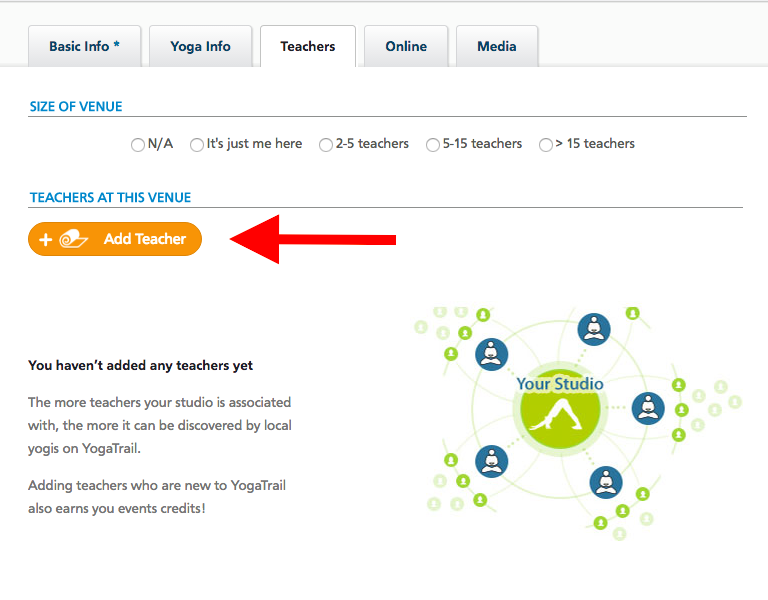 You will then see the teachers listed in your studio. Click on "X" in the right-hand corner of the teacher's name and remember to click "Save & Next" to ensure your changes are kept.